Johnny Galecki appears in three episodes of Entourage during the show’s eighth and final season. 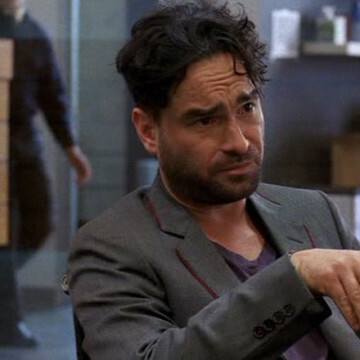 Galecki, who plays a caricature of himself during his many scenes, is introduced near the four-minute mark of S08E01 and asks Eric about his relationship with Sloan as he discusses management options with Scott Lavin. The actor goes on to date Sloan later in the season. Johnny is best known for his roles as David Healy in Roseanne and Leonard Hofstadter in The Big Bang Theory.